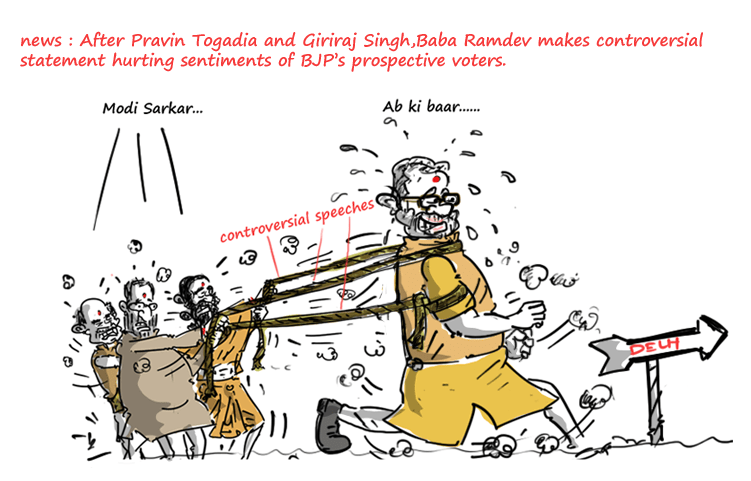 After , VHP leader,Pravin Togadia’s controversial statement of forcible eviction of Muslim families from a Hindu-dominated locality and BJP leader,Giriraj Singh’s controversial statement that those who do not vote for Modi will have to find place in Pakistan, its Baba Ramdev who has hurt the sentiments of prospective voters of BJP. Baba Ramdev had recently stated that Rahul Gandhi visits Dalit women for honeymoon and picnic. Are these people truely supporting ‘Ab ki baar Modi Sarkar’ campaign ?